Looking to splurge in London and live like a royalty? 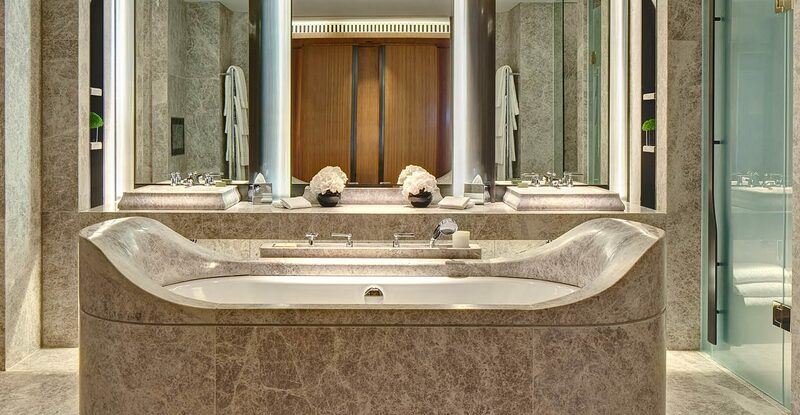 Then book yourself into one of these luxurious hotel suites London has to offer. They will have all your needs catered for, from your very own private butler to a private spa. 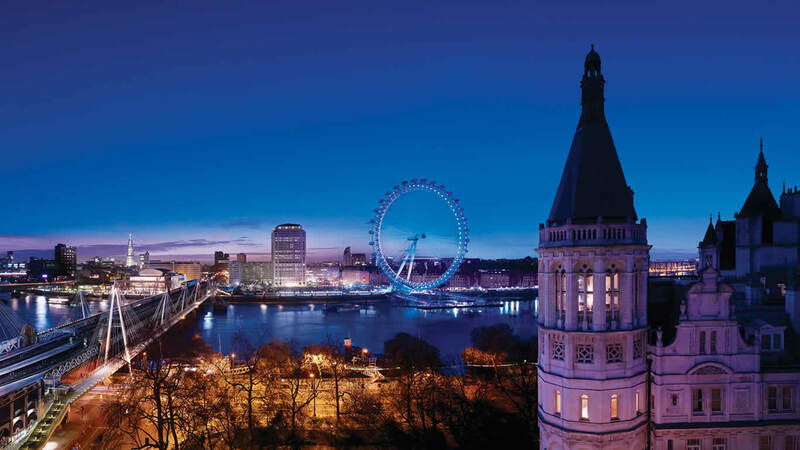 We have scouted around London to bring you the best luxury hotel rooms this capital city has to offer. 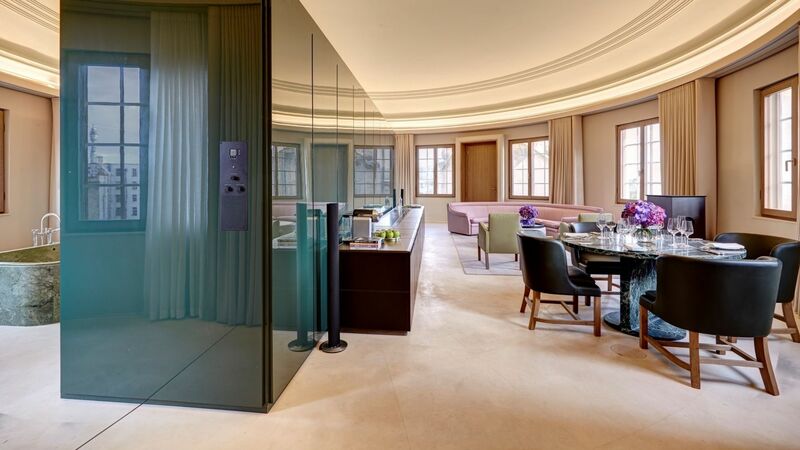 Join us as we take a look inside London’s most luxurious hotel suites. 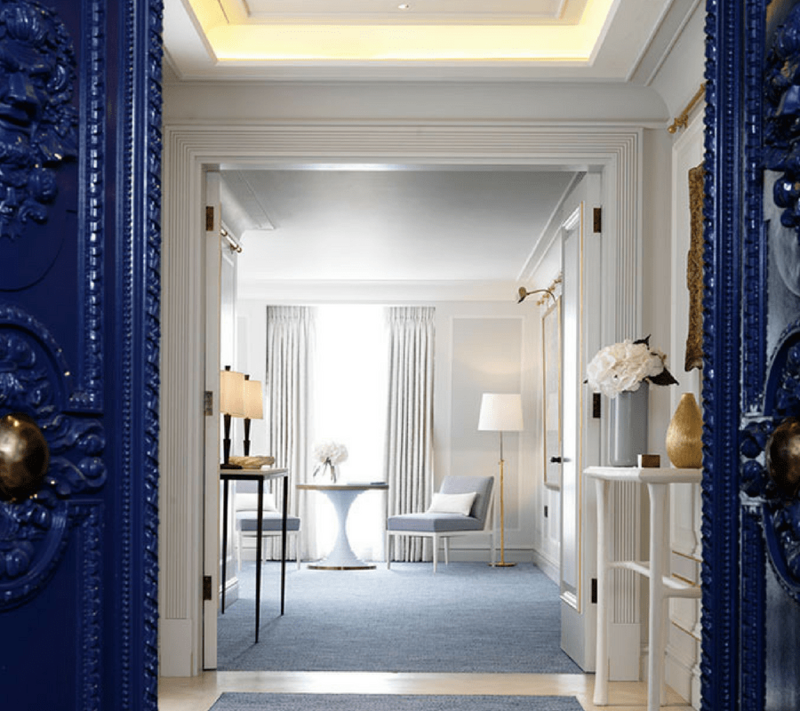 The Apartment at The Connaught is an amalgamation of exceptional vision and remarkable service. 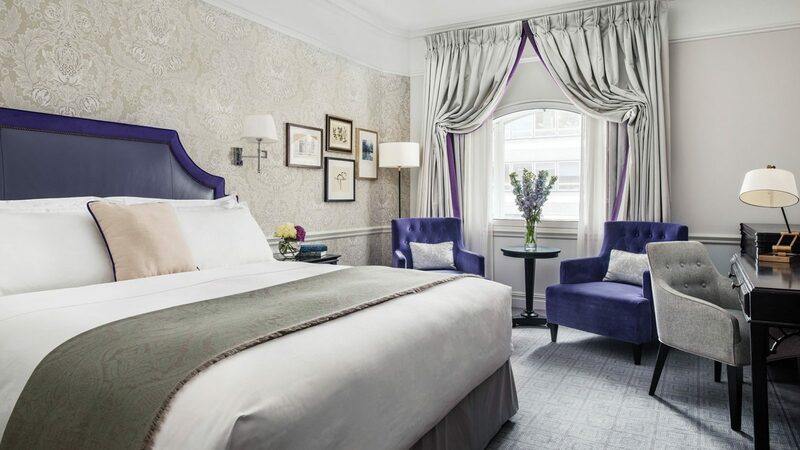 The David Collins-designed suite starts with exquisitely hand-carved doors and continues to delight throughout with a contemporary colour palette of lavender and cream. Every detail has been considered, you will be able to enjoy a 24-hour butler service and a butler’s pantry. 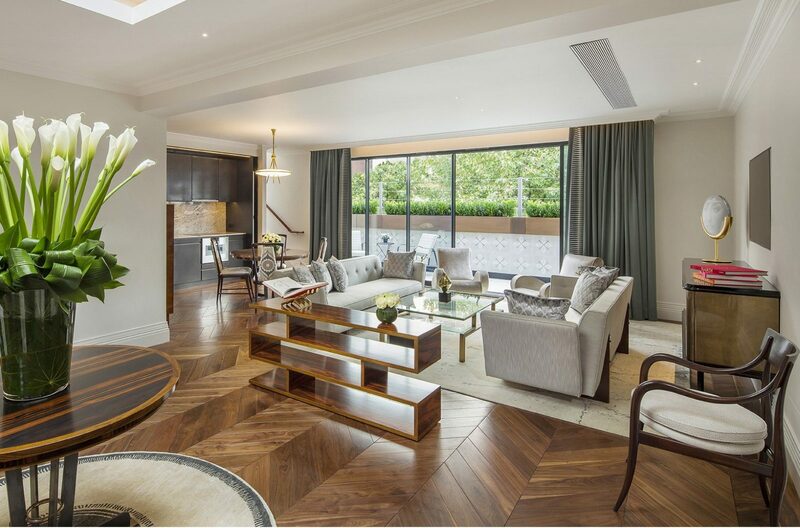 Plus, with space difficult to find at even the best hotel suites in London, you will be delighted with this two-bedroom masterpiece, which at 285m2 is the largest suite in the capital. Its private wrap-around balcony offers views over Carlos Place and its two terraces look over some of London’s most famous landmarks. The Penthouse is the jewel on top of the crown that is The Mandrake. This top-floor apartment is blessed with state-of-the-art conveniences including a full two-zone home cinema system with iPad controls. The decadence continues throughout the Veronese bookend marble apartment. You can fully detox in its rain shower, steam room and even look at the stars in a Jacuzzi that sits under a retractable roof. Its huge, emperor-size bed comes with a handmade mattress and topper created from organic and natural fibres. The hotel itself is a hotspot within a city of hotspots. The rich and famous from across the planet are regularly spotted at the world-famous hotel, making it one of the most desirable accommodations in the capital. The Penthouse Suite is the most desired room at The Arts Club, one of London’s most prestigious private member’s clubs. The truly gorgeous apartment was introduced in 2011 when the creative hub, which first launched in 1863, had a revamp and added 16 bedrooms. The attention to detail is phenomenal. 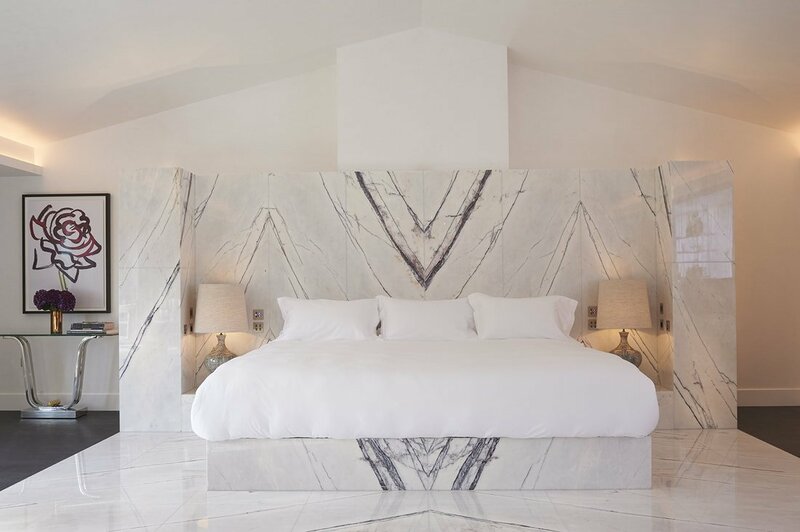 Beds come with Beltrami silk linen and towels while the marble bathroom is decorated in a lavish art deco style. The apartment includes a spacious living room, entrance hall, dining room and kitchen plus an outside terrace overlooking the courtyard. A private roof terrace is the perfect place to enjoy dinner with delectable food cooked by the hotel’s remarkable chefs. 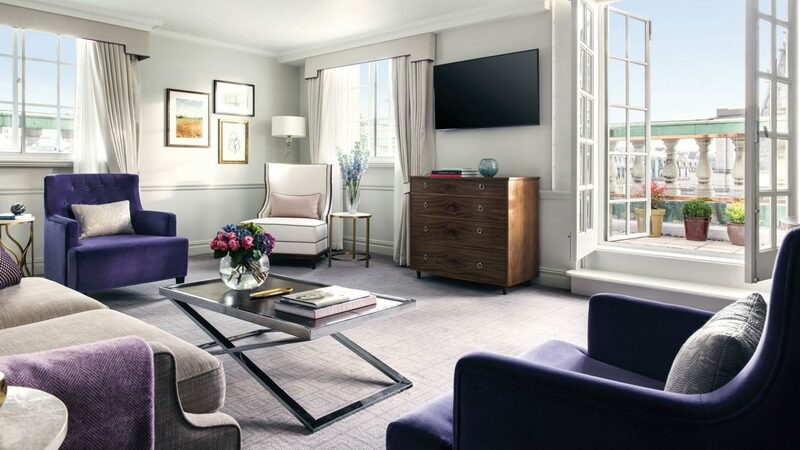 Opus Suite at The Berkeley brings a modicum of calm which only the very best hotel suites in London can offer. 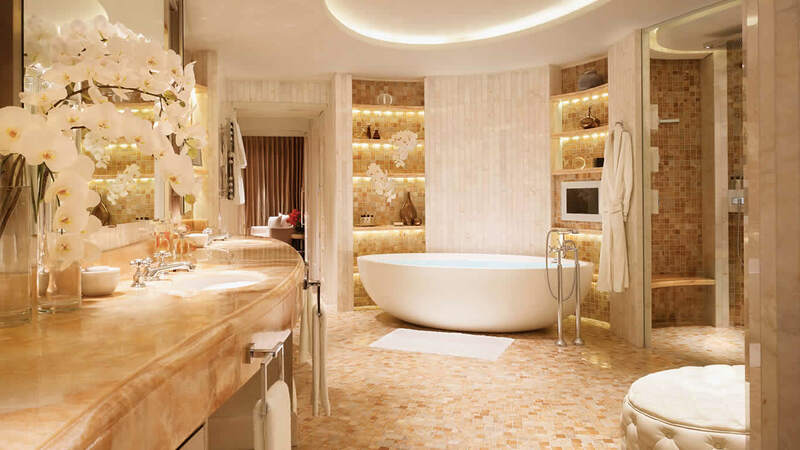 The two-bedroom accommodation was designed by world-famous interiors architect André Fu and his subtle yet luxurious creation is a joy to behold. The Opus Suite enjoys a natural colour palette throughout with wooden fixtures and earthy shades complimenting each other to create a beautifully balanced ambience. Premium amenities such as a welcome bottle of Dom Pérignon Champagne and fresh flowers from McQueens are tasteful additions. Those looking to travel around the city can also take advantage of the hotel’s luxury fleet of chauffeur-driven cars which includes a Rolls-Royce Ghost and Range Rover Autobiography. 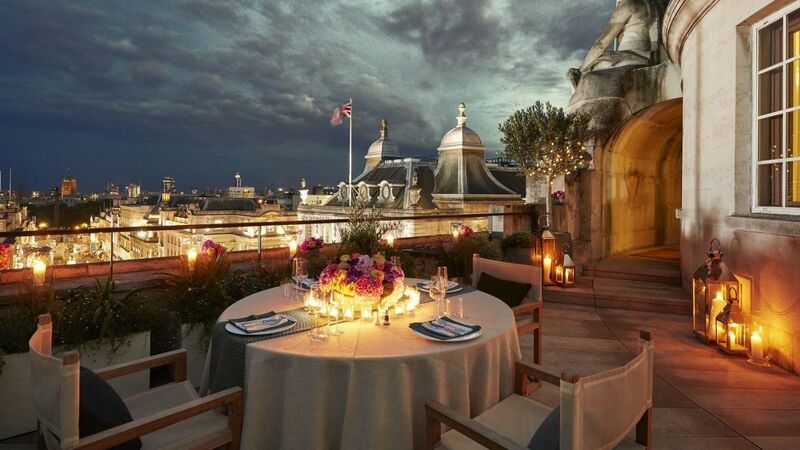 The Royal Penthouse at the Corinthia hotel offers luxury accommodation in London’s most historic district. 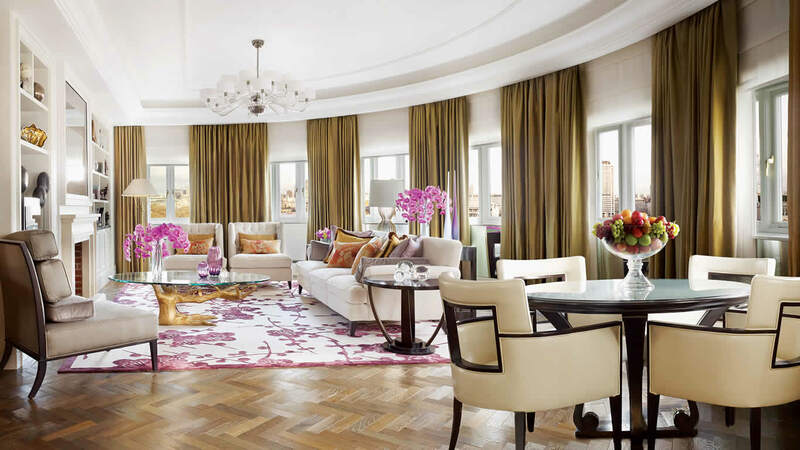 Your jaw will drop by the high-quality features that come as standard here at Corinthia Hotel’s Royal Penthouse Suite. The decadent accommodation includes a sweeping circular staircase, a Chinoiserie-style entrance, and its own private spa suite. On the roof terrace, you can enjoy a 180º panoramic view of London, which includes a unique perspective of the river Thames. Throughout your stay, you will be treated like royalty with a complimentary chauffeur, 24-hour in-room dining and access to the hotel’s private wine collection as part of the service. 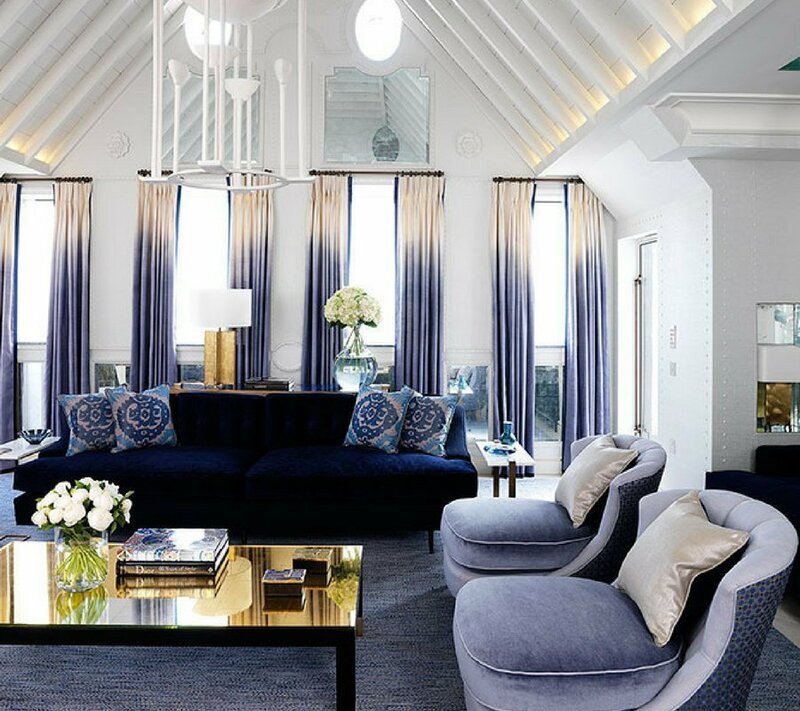 The Dome Penthouse suite at the Hotel Cafe Royal is the hidden gem of the hotel. 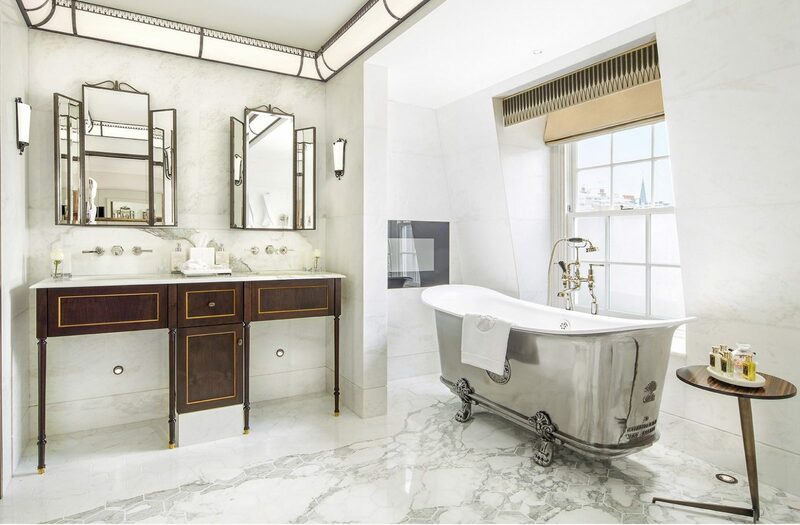 Located in the Grade II listed section of the hotel and occupying 292 sqm this impressive three bedroom suite is one of the most luxurious hotel suites in London. The unique aspect of this suite is the view it has on offer. 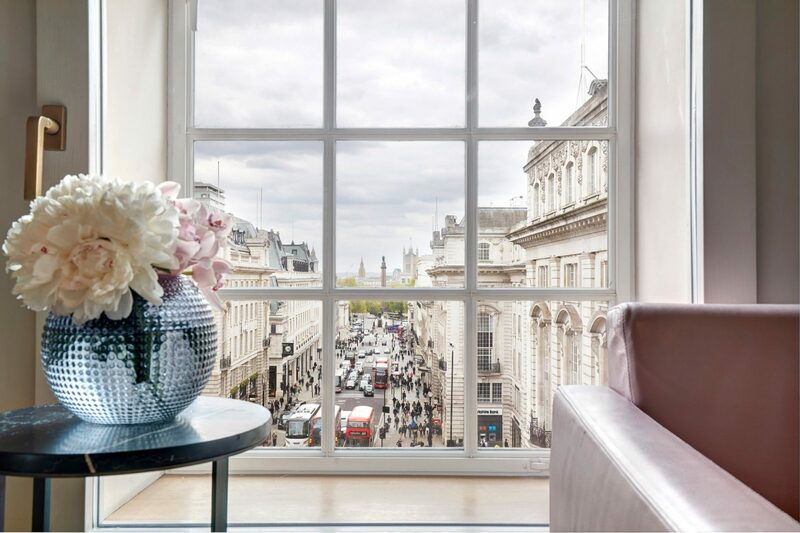 The Dome Penthouse suite comes with two terraces, one overlooking Piccadilly Circus and the other across regents street, these terraces offers a completely different angle of London’s most iconic view. The impressive terrace not only offers the most amazing view of London but it is also decked out in candle lights, heaters for the colder days and it is large enough to fit a large double bed. This suite is designed to host and entertain, it comes equipped with a LED lighting, DJ system and one of the largest TV of any hotel in the UK. If that wasn’t enough it also comes with a private butler. If you are looking to impress, The Dome Penthouse suite at Hotel Cafe Royal is guaranteed to take your guest’s breath away. The Garden House Suite at Rosewood brings a stunning mixture of man-made excellence and natural beauty to bustling London. 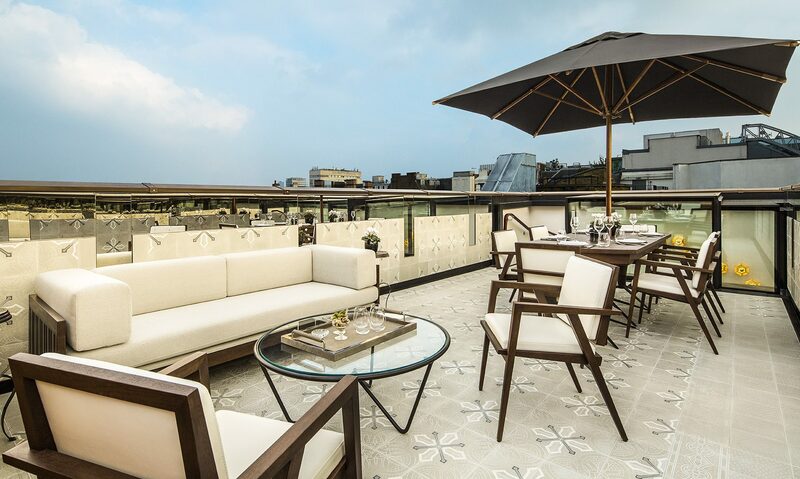 The exquisite one-bedroom apartment takes its name from its 113 sq.m roof terrace which is accessed through the den and offers glorious views of the hotel’s wonderful courtyard and across the city’s skyline. 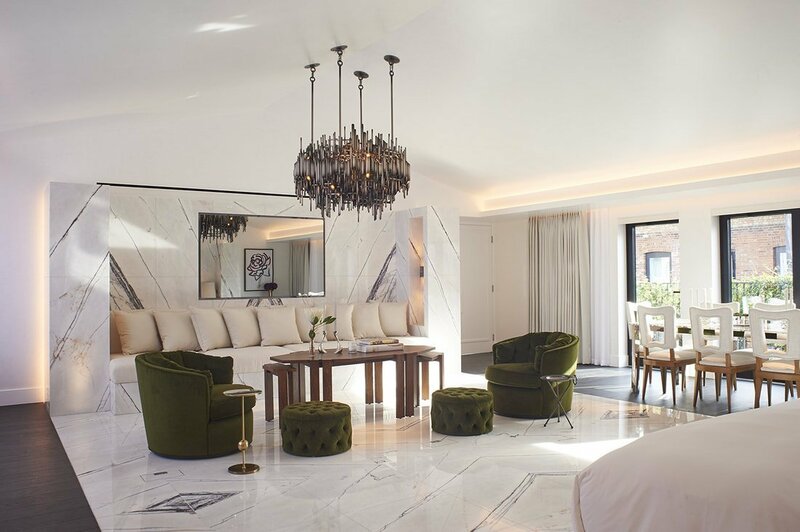 Inside, the decadence continues with Italian marble running throughout, with a light-filled sitting room, an intimate den, a guest powder room and an Italian marble bathroom. This luxury suite also offers guests the latest in conveniences including a personal bar, walk-in steam shower stall and butler services. 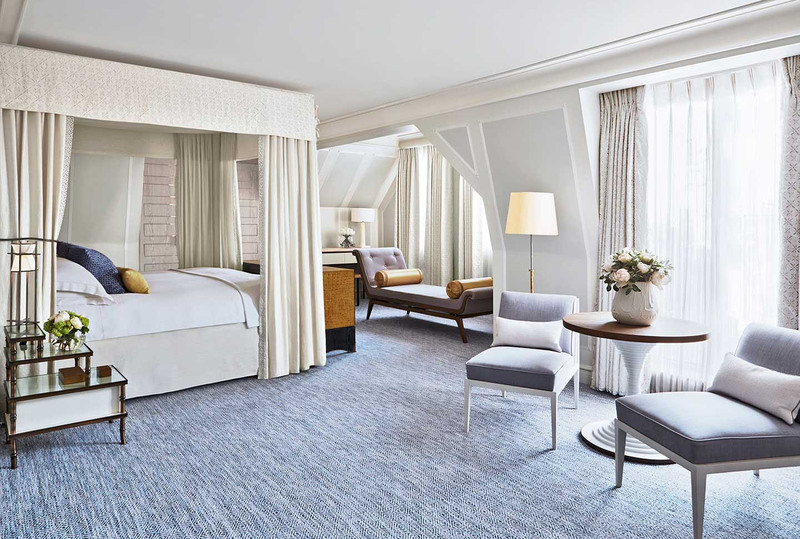 The Terrace Suite at The Langham is a 220m2 marvel of grace and sophistication. 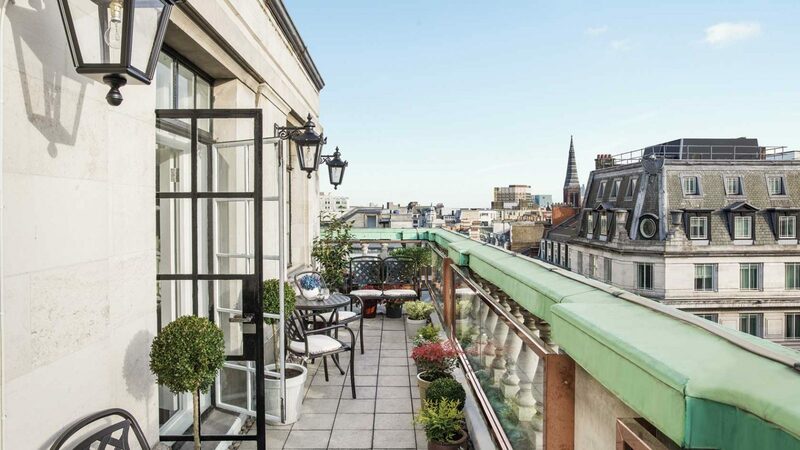 The apartment in lively Marylebone includes a delightful terrace with views down the world-famous Regent Street. Inside you will be treated to large marble bathrooms, a kitchenette and a vibrant collection of artwork. A butler service is available to take care of every whim from unpacking suitcases to organising bespoke itineraries. You will also have the pleasure of accessing the renowned hotel’s private lounge, The Langham Club, for a free breakfast, afternoon tea and Champagne.